A particular characteristic in common. Communities thrive all over the world and all over the Internet, full of creativity and passion for the particular characteristic. There is something extraordinary about the spinning community, though. I have never seen such a beautiful fellowship of people who are so eager to help and support each other. I have never seen an unkind word directed to another spinner in the spinning community. Everybody is eager to help, from beginner to expert and from all fields of the spinning spectrum. There is a true foundation of, well, actually peace, love and understanding. Spinning doesn’t agree with unkindness. Spinning is by nature a peaceful act. With our hands we fuse fibers together in the cooperative motion of creating yarn. The hands work together to get the fibers to work together and align themselves in the draft. 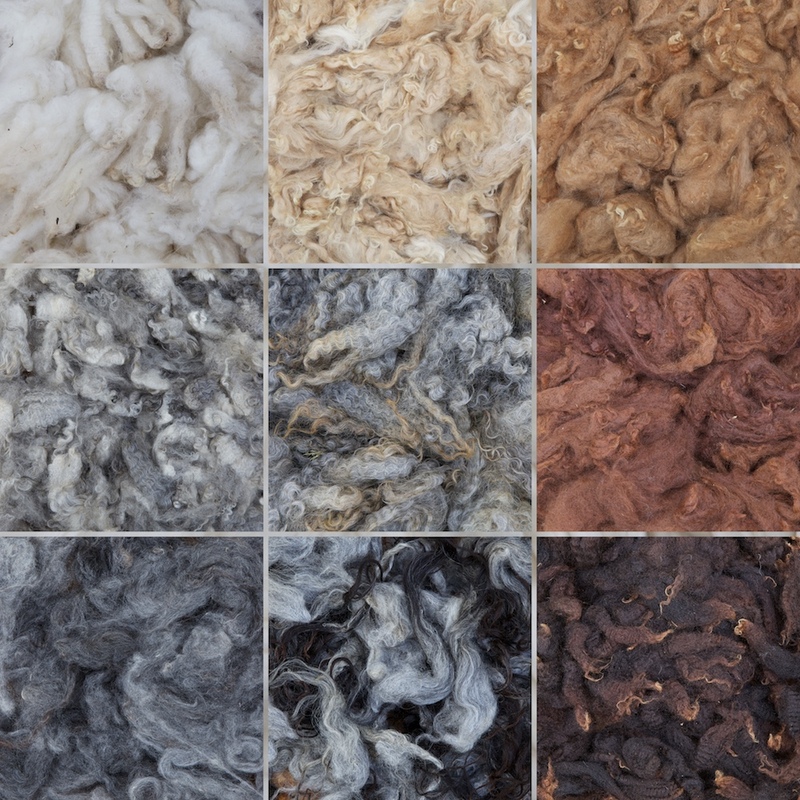 They may be sleek and consistent or bumpy and wild, but they are nonetheless yarn. It is like we spin our own community of fibers. We spin togetherness. “Every revolution of the wheel spins peace, goodwill and love”. Mahatma Gandhi. Embroidered quote on my shopping trolley. The spinning community is for me a safe place. I know I can ask any question and get a thoughtful answer. I embrace the new knowledge and I feel humble towards the spinner who taught me something new and valuable. The act of helping a fellow spinner, new or experienced, is and act of peace. When I help another spinner I know my reward will be more peace in the world. The more I learn about spinning the more I respect the people who make up this community. And I know that the learning and inspiration never end. In the spinning community we share our knowledge. Because knowledge of spinning is also knowledge of what spinning gives us in return. I know about the transition in my body when I sit down and spin after a busy day. I know about the feeling of flow and weightlessness when I get into the creative bubble. And I know that I can give that feeling to another spinner when I help them develop or solve a problem. Spinning has been a cultural heritage since someone took some cellulose fiber, tied it around a rock, set it in motion and realized what it could result in. Too many crafting techniques have been lost and forgotten, even in the spinning world. I feel a responsibility to help saving endangered textile techniques. That is the reason why I wanted to learn techniques like nalbinding and twined knitting. They had almost been forgotten. Recently one of my videos was spread in a non-spinning context. In less than two weeks it grew from 600 to over 25000 (!) views and people commented on the cultural heritage of spinning. There is obviously a surge for old techniques and natural materials. We need to cherish these old techniques, develop them and make them a thriving and natural part of our contemporary life. There are so many kind souls out there, sharing their knowledge, understanding the love of the craft. We share something unique. We share the understanding of what spinning gives us and the world. As spinners you know what I need without me having to necessarily tell you. And every now and then I know what you need. It is a mutual understanding of what spinning gives us. Barbro who unprovoked gave me her long and loving list of spinning literature. Anna who offered to send me copies of rare spinning books. Kate who seems to know what the spinning part of my mind is trying to figure out and always asks the right questions at the right time. Gunilla who is the fastest book sender in the world. Jenny who cheers me on and referred me to another fiber enthusiast. Kirsten who offered to send me fiber that was new to me. Björn who makes the best supported spindles. All my Teachable colleagues who cheered me on after my course launch. Fran, Grace, Babs, Rebecca and all my students and followers who reach out and help me become a better spinner and teacher. All these people are to varying degrees a part of the spinning and fiber world and understand the beauty of it. Yesterday was International Women’s Day. So many women have worked so hard with textile crafts to provide warmth and shelter for their families, and so often unpaid (for an elaboration of the value of textile crafts, see my previous post on calculations). We can give something back to them by celebrating, treasuring and developing textile techniques. I have so many ideas I want to share with you. Because when I share, you share and when you share I share. With that we all grow as spinners and people and once again 1 + 1 = 3. The sum of the parts is greater than the whole. When I launched my new online course a week ago I hosted a live webinar on spindle ergonomics. I was very nervous the whole day and totally drained afterwards, but the webinar turned out a success. So many of you cheered me on before, during and after the webinar and you seem to have genuinely enjoyed it. The best comment came from my 16-year-old son, though: “Mum, it actually sounded like a real live stream!”. It felt so good to be there live with you. Editing is a powerful tool – I can edit away any flaws in videos, courses and blog posts, but it was also a liberating feeling to be totally unedited with you. A webinar is also as close as I can get to meeting you in person. I plan to make more webinars and I have lots of ideas. It is a medium I believe in and that I think would work very well in the spinning community. I learn a lot from making them and I hope you learn something new too by participating in them. Together we can create a forum that will work and contribute to the community. If there is a special topic you would like me to address in a webinar, just let me know. You can contact me via any of the links below or via email if you are on my email list. Thank you for all the peace, love and understanding that make up this beautiful spinning community. I have a shopping trolley that I pack all my gear in when I teach spinning. It is lightweight and easy to bring on the metro or train. It can easily swallow three shoe boxes on top of each other, filled with spindles, cards, combs and other tools. This is the story of a shopping trolley makeover. Lately my shopping trolley bag has started to come apart and I decided it was time for it to retire. My husband suggested I look for a new one in wool. That was an excellent idea. The one I had was in some synthetic canvas which wasn’t climate friendly at all. When I browsed for a shopping trolley in wool, though, I couldn’t find one. On an early bike ride to work I got an idea. My 10 K morning bike ride to work is one of my most creative moments during the day and I usually get so much sorted out in my head on these rides. I direct and edit videos, brainstorm for new videos, outline articles and blog posts etc. When I get to work I just write all of it down and e-mail it to myself. This was one of those ideas. I was going to make a new trolley bag myself – I would just copy all the parts and measurements from the existing trolley bag and stitch them together. I had seen a made-over shopping trolley before and fallen in love with the idea. A while ago, I took a wood-carving class, and the teacher had upcycled her shopping trolley. Instead of the regular canvas bag she had made one in woven birch bark. The handle was made of carefully carved wood with an ergonomical grip. It was really beautiful and personal. The idea of making one in my own crafting material made my heart jump with joy. On a recent fiber event I passed by a vendor who sold needle punched felt in 100 percent wool from Swedish sheep. They sold it by the meter in large rolls. That would be a perfect material for my shopping trolley! I bought a meter of medium felted needle punched felt. The material is about 6 mm thick and quite sturdy. However, it works excellent to hand sew in. I measured the original shopping trolley bag and copied it right off (I did leave the cane compartment, though, I figured I wouldn’t need it for a while yet). Then I just used a simple backstitch to sew all the pieces together. The sewing was actually really comfortable. I loved holding the thick wool in my hands and the needle went through the thick material with ease. I used glue clamps to pin the pieces together. And of course I used my handspun yarn for the seams, a 2-ply worsted spun yarn from the black parts of a Shetland flecked fleece. The compartment was made of a front and a back, two sides, a bottom and a top flap. The top flap closed with velcro. There were steel reinforcement frames in the front and back pieces. I made extra pockets on the tops of the front and back pieces for the frames to fit in. A shorter handle on the back of the bag and a longer on the front. A closing mechanism for the handles, secured with velcro. Two horizontal straps on the back piece held the bag securely on the trolley. After the pictures were taken I got rid of the ugly foam handle on the trolley and replaced it with a cozier one in the same material as the rest of the bag. All that was left of the original trolley bag was a sad and hollow bundle of polyester canvas. Before I sewed the bag, though, I had some decorations to make. First of all I needle felted my logo to the front of the bag. I tried to pre-trace the logo onto the felted material first, but it was way to fuzzy, so I had to needle felt it all off the cuff. I used a handspun rya yarn I had used earlier for a logo embroidery on my spinning apron. After having finished the logo I thought it would be a shame to waste such a blank and lovely canvas. So I embroidered a quote on the closing flap. I used the same handspun yarn I had used for the seams. I chose a spinning quote from Mahatma Gandhi. He was a spinner and wanted to liberate India from the British by non-violent civil disobedience and spinning. I found it quite fitting. I couldn’t pre-trace on the lid either, so I had to embroider all the writing off the cuff as well. I used a simple backstitch. Embroidering handwriting by improvisation was really a challenge, but when the quote was all finished I was really happy with the result. Despite the rather uneven ‘handwriting’ I am quite fond of it. It has sort of an animated touch to it. When the shopping trolley bag was finished I just slid it over the trolley handle. I fit like a glove and I was happy as a clam of my beautiful and personal trolley bag. The walls of the bag are really sturdy and it actually looks professional. I can’t wait to board the next train with my new traveling companion! I also got another idea. It may have come to me on another bike ride. I had fallen in love with the felted material and I didn’t want to stop sewing in it. So I came up with an idea to make a spindle case. Just a tube with a bottom, a lid and a loop strap for hanging or holding in your hand or sliding onto your belt. In afterthought, the rim of the lid was a bit too short. It is 3 cm and I should have made it around 5 cm. The top of the lid is a bit too small, which makes the rim point outwards a bit and result in an unsmooth fit. I’ll make some changes for my next spindle case! I have not embroidered much, but a spindle case is a perfect opportunity to practice. And I did love sewing in the material, so there was no hesitation. This time, however, I didn’t use my handspun yarn for the embroidery. Instead, I used thrift shop embroidery flax yarn I found in the back of a cupboard. This case needed colour and most of my handspun is undyed. The silky linen yarn was a perfect match to the matte and sturdy feted wool. As in my previous embroidery adventures with the needle punched felt I couldn’t pre-trace anything, so I just started with the center ring of a flower and improvised from there. The beauty of being a beginner at something is that you don’t know the rules and I could just make everything up as I went along. And I’m quite happy with the result. The flower reminds me of a pansy. The dangling tentacles are inspired by an anglerfish. You know, the deep-water fish that has sort of an antennae on the top of its head with a flashlight on it to lure its bait. I also chose to line the spindle case, for two reasons. First of all, the spindle would get stuck in the entangled mess at the back of the embroidery without a cover. Second of all, If I would keep some spinning fiber in the case (which I most definitely would), it would stick to the felted surface if I didn’t line it. Of course I didn’t want a synthetic lining material, so I bought a decadently pink silk lining and hand-stitched it to the inside of the tube before I assembled the case. As a final touch, I cut out a circle of wool to put in the case as protection. This way I can put a small spinning bowl or puck/disk in the bottom of the case. If I put the wool circle on top of the bowl and then slide in the spindle I don’t have to worry about any damage on the spindle tip. I’m ready for my next spinning teaching adventure!